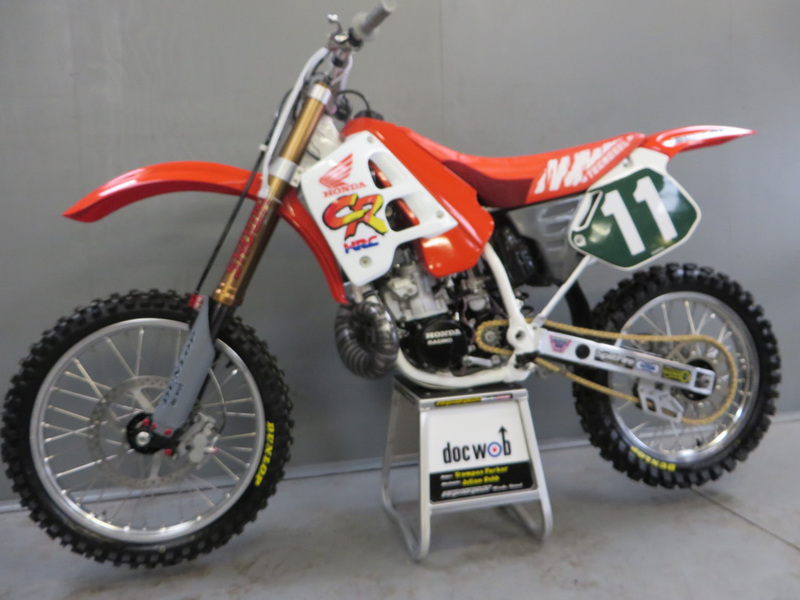 We were asked to build a Honda CR 250 for 3 time world champion Trampas Parker. 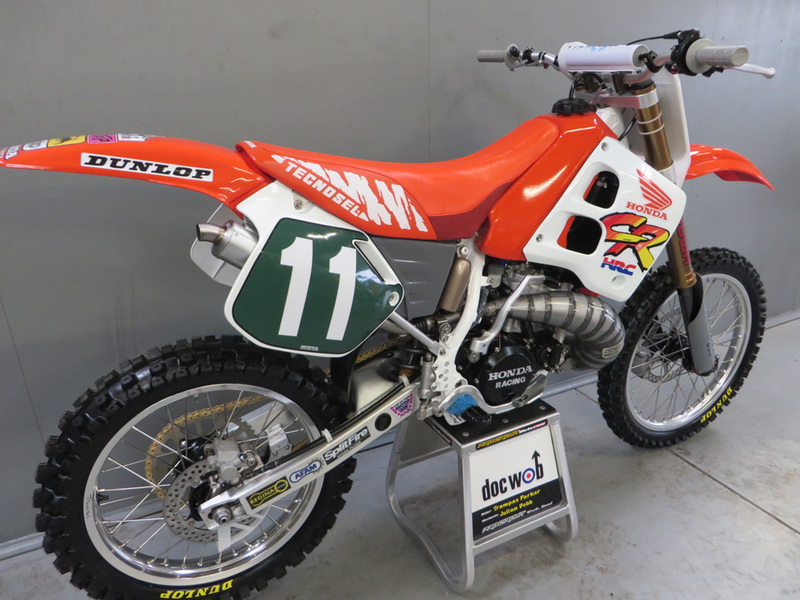 This was always going to be a challenge, making a bike not only look as close to his championship RC 250 but he is still a regular rider so the pressure was on. 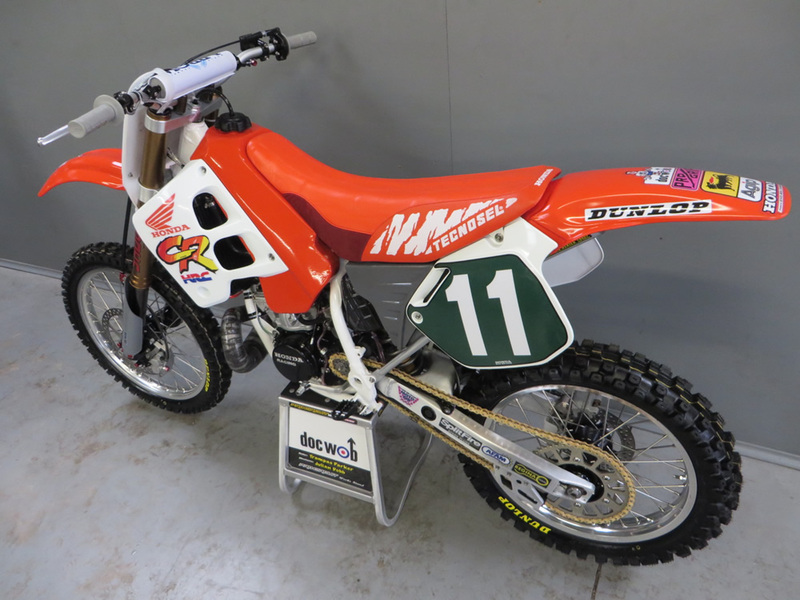 We've built alot of bikes for the VMXDN over the years but this one in, my opinion, was one of the prettiest. 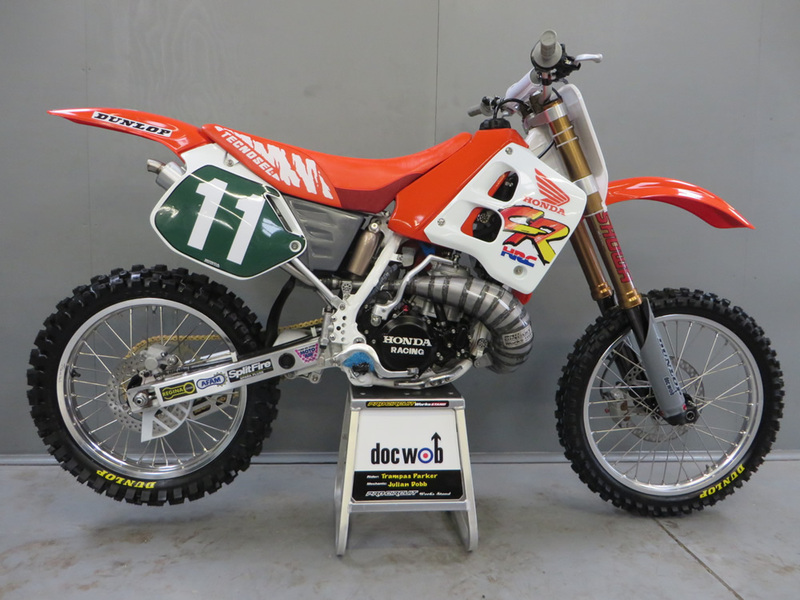 We had Julian Dobb look after the bike on the weekend and needless to say they were both super impressed by the bike. Unfortunaley we didn't get chance to test the bike before the event and we were niggled with low speed jetting issues which turned out to be a failing stator plate. Still the bike came out well and with a new stator it was a rocket ship. Again this one was sold into a private collector.